Kristin Welch enjoys running her store, Mama Madrone's Eco-Emporium" in Nevada City. 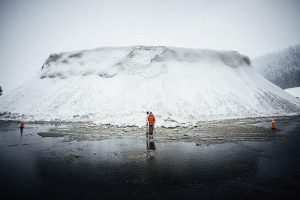 Kristin and James Welch had spent a decade running an organic farm in Viroqua, Wisconsin, when they decided to take a trip to visit friends in Nevada City. They loved it, and in 2007 they packed up their belongings and moved west, with two young children in tow. Kristin landed a job at Being Green, a small earth-friendly store owned by Be Cretilli, situated in the rear of the New York Hotel off Broad Street. 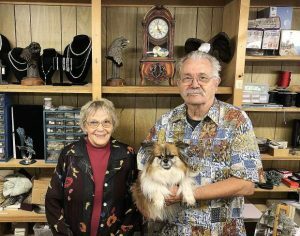 Several years later, when the owner was ready to sell the popular business, Kristin and James jumped at the opportunity, with the understanding that Kristin would be overseeing day-to-day operations. Serendipitously, a retail space became available right on Broad Street when the owners of Maiden Lane opted to close after 26 years. Seeing an opportunity for more square footage and an increase in foot traffic, Kristin was the first to enquire about renting the historic storefront. 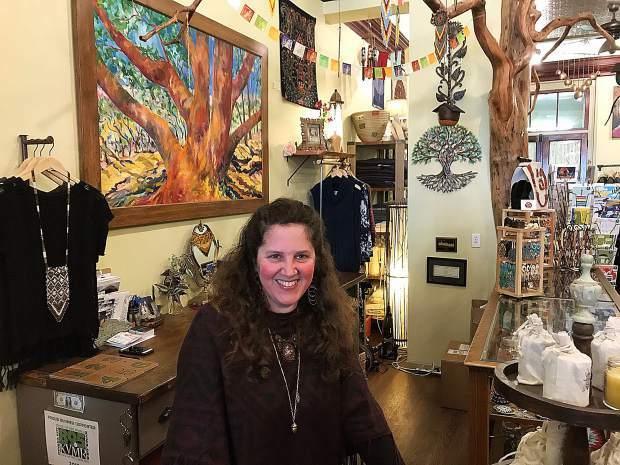 In 2016, Kristin opened her doors in the new location under a new name — “Mama Madrone’s Eco-Emporium” — inspired by a madrone tree on their property. In keeping with the “being green” theme and philosophy, Kristin collaborated with woodworkers, artists and designers to create a space that reflected a respect for the earth and a nod to the local landscape. Shelves, racks, door handles and siding were created from repurposed barn wood, manzanita and metal. But by far the store’s pièces de résistance is a large “tree,” made from buckeye, maple and madrone by North San Juan artist Bob Beams. A sampling of eco-friendly goods at Mama Madrone’s include clothing, fair trade jewelry, bedding, purses, bags, sunglasses, robes, hoodies, bees wax candles, rugs, local honey, glassware, underwear, bead work and more. Popular brands include Nomads Hemp Wear, hemp HoodLamb, Encanto jewelry and others. All clothing is made from natural and sustainable fibers, such as bamboo, cotton and hemp. Customer favorites are the organic bedding by Organic Mattresses, Inc. (OMI) from Yuba City and Coyuchi from Point Reyes Station. “Our only rule is that you don’t snore when testing out the bedding,” joked Kristin. Coming later this spring will be a colorful selection of Loka Swimwear, made with 78 percent recycled fishing nets pulled from the ocean. In addition to Kristin, the staff at Mama Madrone’s consists of Rachel Coleman-Hunt, Keyna Hodge, Elana Hierman and Jordan Enright-Schulz. Today, Welchs’ children are 17 and 21, and the Wisconsin natives now feel firmly “rooted” in the Sierra foothills of California.